Joining Ginny in her Yarn Along again this week: Last week was a bit of a back to square one. I ripped the cosy cardigan because I realized that what I knitted was by far to big. I could wrap the whole back part completely around myself … But hey, with only 2/3 of stitches it knits up quickly so that after two days I was where I was before and am now I’m nearly half way up the back. Same happend with the hexipuffs. 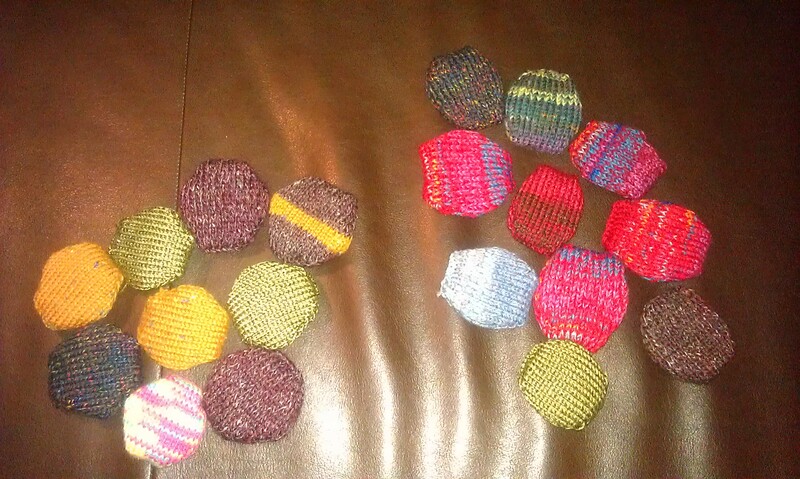 As I realized in last week’s Yarn along, I was not knitting hexagons but octagons. And since I changed the form they look far better… who would have guessed. But I’m still very up to date with the number even though I might rip the first ten again to make them into hexagons too. Interestingly reading last weeks other Yarn Along posts I realized that many other people seem to have started on the beekeepers quilt too and also try to make a hexipuff a day. And I started another longterm project: I’m knitting a carpet. I have that great recycled cotton cloth yarn ReCotton that I showed you when I got it in my very first Yarn Along post last fall. I finally know what to do with it. 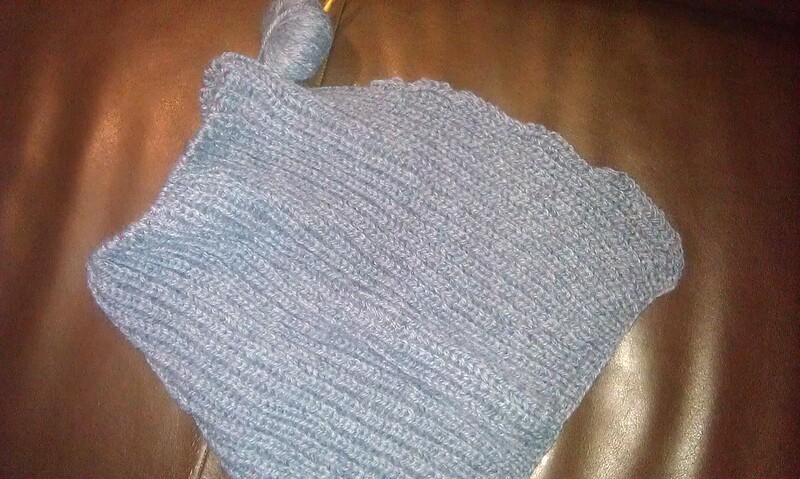 It knits up very quickly but it is an exhausting knit because of big needles and the thick and heavy yarn. I’m already threating the day when it is half finished and weighs some kilos. 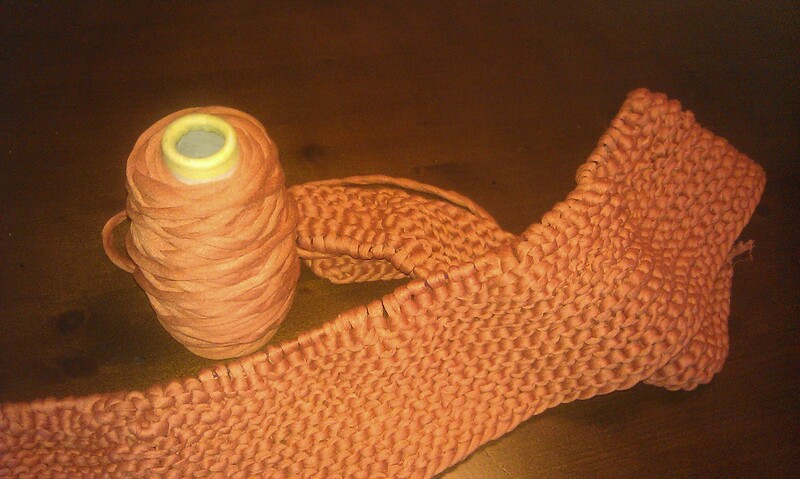 The small part I already knitted is already 0.5kg. For those who haven’t seen it yet: I posted the tutorial forAnkle High Knit-Felted Slippers now here on my blog too. Stay also tuned for the Where I’ve been Special: New Zealand starting on Friday. This entry was posted in Knitting & Crocheting and tagged Cardigan, Carpet, Hexipuffs, Knitting, Yarn Along by kathatravelling. Bookmark the permalink.